Options Hartz F&T Large Dog Collar 26"
Fleas and ticks are year round guests that can live in the carpet and furniture and can even attack humans. 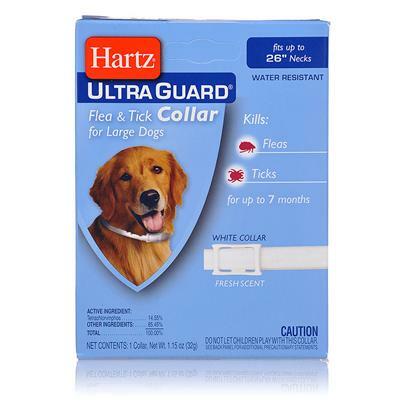 Enter the Ultraguard Flea and Tick collar from Hartz. They are easy to put on your dog and highly effective, keeping both you and your dog bite-free.